Will you take a trip that refreshes your body and mind while strolling around these hot springs? 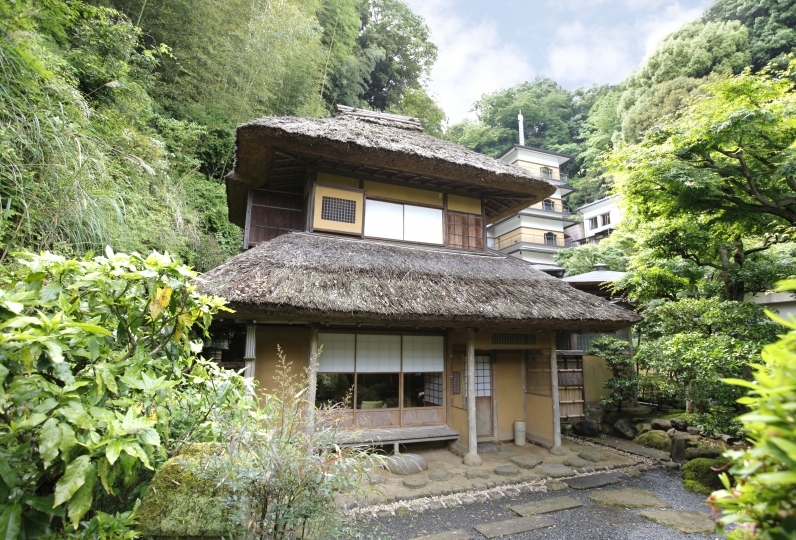 Try Yoshiharu, the hot spring inn that instills feelings of peace with its abundantly lush nature. Yoshiharu's biggest point of pride is its spacious baths. One may enjoy the five differently styled rental baths without reservation whenever they are not occupied. In such baths as "Komorebi no Yu" with a field-style that includes a garden, or "Herb no Yu" where the breeze carries a herbal scent, we hope that you choose a bath that matches your mood to enjoy a leisurely time bathing. Have a special day in a special place. With chairs placed in each room and while viewing the garden that unfurls in front of your eyes, have a illuminated romantic moment. The changing seasonal ingredients used to wholeheartedly make the semi-kaiseki meals are pleasing to the eyes with refreshing colors. 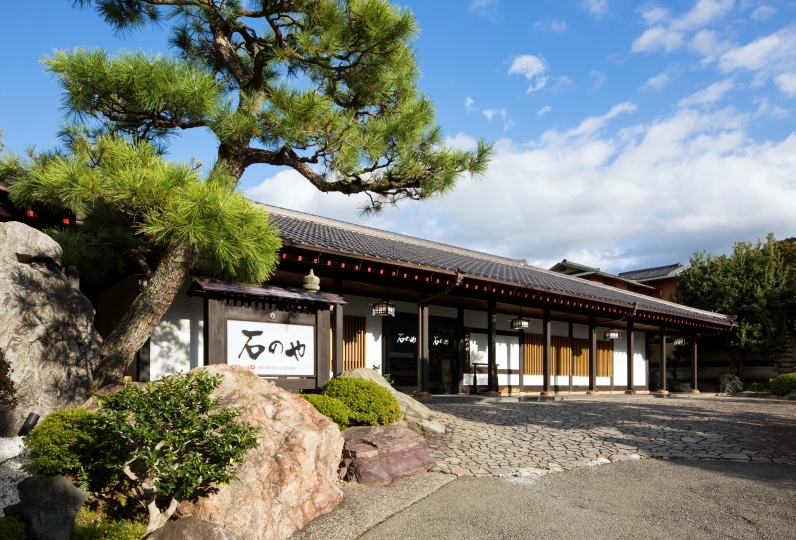 Please enjoy an elegant meal time complete with a gourmet meal while commanding a view of the Japanese garden. Unwind yourself in the hot waters and fill your five senses with good food. Now then, will you go on a refreshing journey with a friend or someone special? You were very helpful the other day. It was the best including all the facilities. Meals etc. We are pleasantly responded regardless of the deficiency here, thank you. Bath in the room and the sense of cleanliness in the room were perfect. Thank you for your cooperation on your birthday too! The room was very beautiful and it was really Yurakucho. I was thinking away from the air that hurried in the city, but Yoshiharu was very healed in a very relaxing atmosphere. Both breakfast and dinner were delicious and satisfying. By all means, I want to go staying again. It is a beautiful inn with a taste, and there is also a name in the bath with a large public bath and a bath and the bath is satisfactory. (It is not put in the hot water of the olive, but the meal was very delicious more than anything, I was able to eat calmly. It was disappointing that wifi will not enter. It was the best if wifi could be used in the room. ・New Dining "Tsuki no Ike"
A new modern Japanese dining room with a view of the lake at the center of the Japanese garden. One may also watch the lit up surface of the lake from the wood deck. 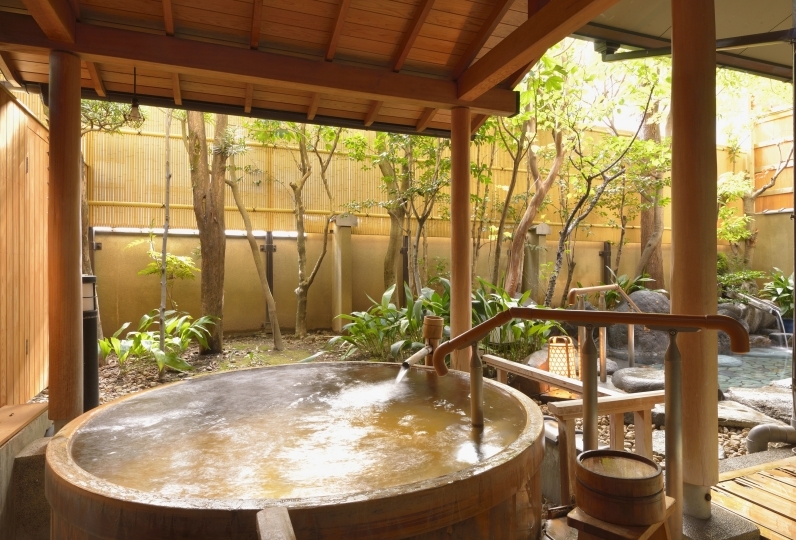 We hope you enjoy each spa's distinct taste: 'Sekirei no Yu' with its cypress bath and rock open-air bath with a view of the mountain, and 'Tsuwabuki no Yu' with its indoor granit bath and 2 rock open-air bath in the courtyard. During your stay, you may use any of these baths without reservations as many times as you please as long as they are open. At the separate private-room reservation stone sauna "Yu", there are a full three varieties of reservation stone sauna rooms where one may heighten the relaxing effects with the healing music and aromas. One may also leisurly relax at the terrace afterwards. There is also a foot spa space, massage chairs, and lounge. Reading your favorite book or drinking, guests may use this room to their taste. ・We do not accommodate children younger than 12. 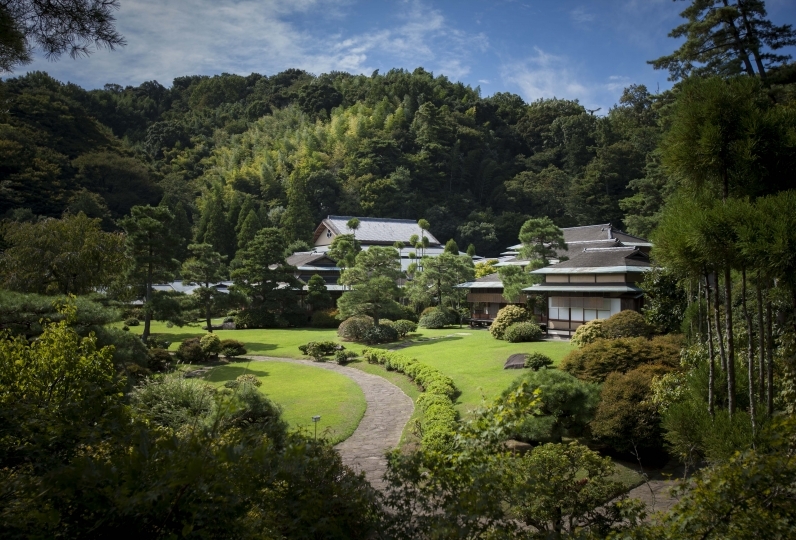 ※Access to the hotel from Izunagaoka is approximately 5 minutes by taxi or 10 minutes by bus.